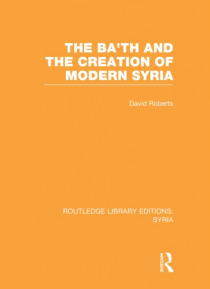 This book traces the development of modern Syria focusing on the contribution of the Ba'th party and Ba'thist ideology. It examines the roots of the Ba'th in the intellectual ferment of the 1940s and charts its growing influence on Syrian politics. Special attention is devoted to the crucial Sixth Congress of the Ba'th Party in 1963 and the key ideological document, the Muntalaqat, produced by Mic… hel Aflaq. After 1963 the military became increasingly dominant until Hafiz al-Asad came to power in 1970. Since then the Party has been less dominant internally but Syria itself has established a pivotal position in regional affairs. The book concludes by reviewing the prospects for Syria after Asad and the potential for a Ba'thist revival.